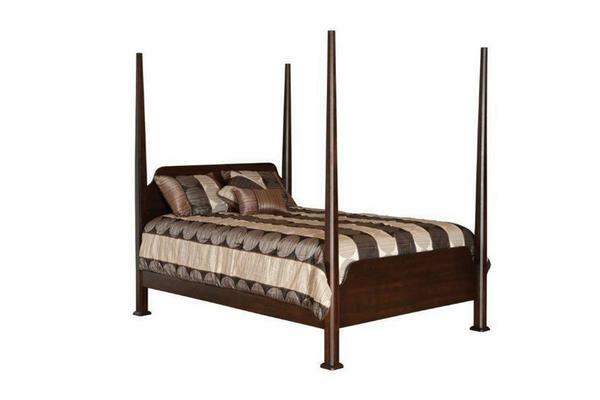 Welcome yourself to luxury living with our handcrafted Amish Pencil Post Bed with Optional Canopy. Adding the canopy to this Amish pencil post bed will allow you to create an oasis in your bedroom. Add this shaker style bed to your collection today for added style and comfort that you can enjoy for your whole life! Overall Height without Canopy: 81"
Overall Height with Canopy: 83"
Canopy secured on top by overlapping with post. Then there is a 1/2" wooden pin that goes into the post that is secured with a final on top to secure.